Why can't every OEM just use the same tip adapter for their adjustable drivers? Isn’t it frustrating when you want to try a certain shaft with your favorite driver head, but their adjustable tips aren’t compatible with each other? You've got a dozen shafts and nearly that many heads from nearly that many manufacturers, and every time you want to play your new favorite shaft in your old favorite heads, you find yourself pulling one OEM tip, and gluing some other tip on it. Finally you have another option. We are proud to introduce All-FitTM system solves both of those problems. 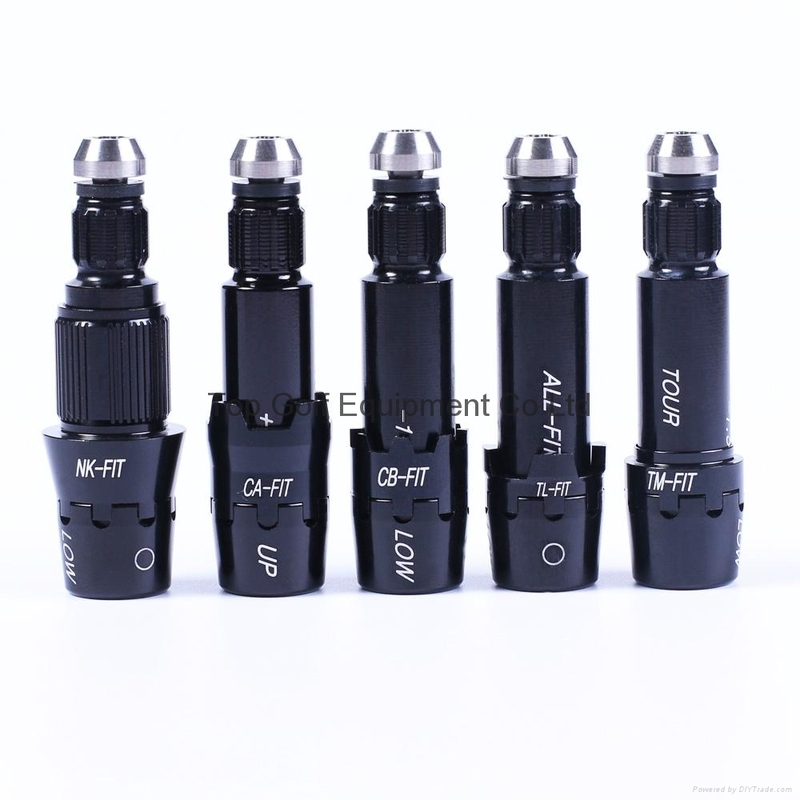 All-itTM is an universal hosel adapter that's compatible with every major Brands’ system. 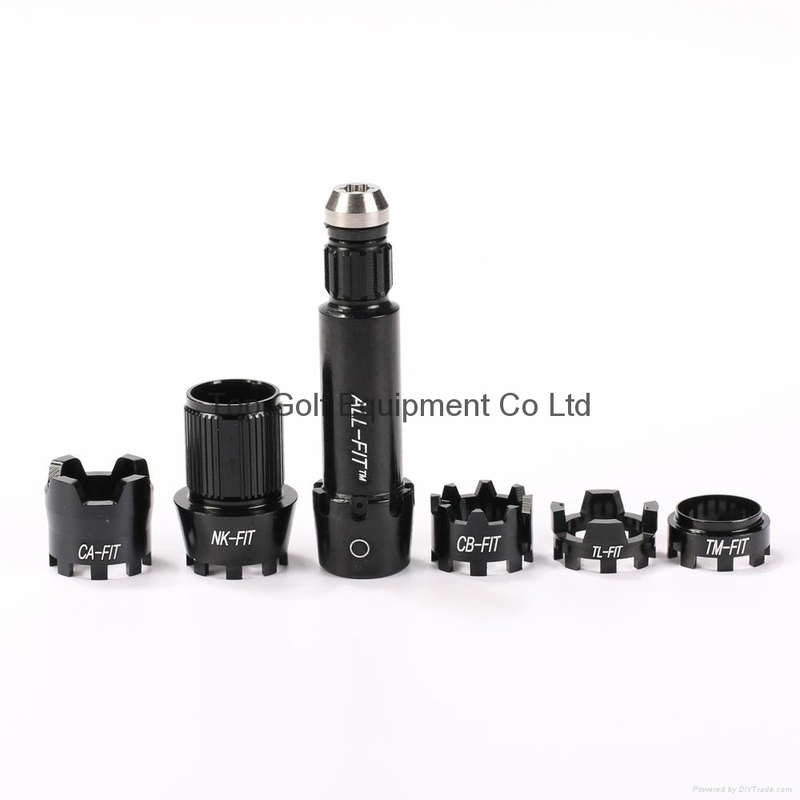 Once you have the All-FitTM adapter installed on your Shaft, it will work with any manufacturer's driver (or fairway) head without the need for any additional handcraft. You just need to replace the Collar to fit other head. You can fit from Callaway Driver to Titleist 915/913 Drivers. ii: 3° adjustability (1.5° in either direction) along with flat and upright settings. 8 settings for any and all drivers.